This article on the 1st (King’s) Dragoon Guards will provide you with an overview of the 1st (King’s) Dragoon Guards’ service between 1914 and 1918 and help you to research those who served with the Regiment. This page is one of my guides to researching soldiers who served in the British Army during the First World War. The 1st (King’s) Dragoon Guards was stationed at Lucknow (Uttar Pradesh, India) when Britain declared war on Germany in August 1914 having arrived there from Ambala (Haryana, India) on 17 February 1914. The Regiment had arrived in India from England on 28 November 1907 and received orders to mobilize on 31 August 1914, leaving India at Bombay (Mumbai) in October 1914. The Regiment disembarked at Marseilles, France on 12 (A and D Squadrons) and 17 (B and C Squadrons) November 1914. The 1st (King’s) Dragoon Guards served on the Western Front as part of the Lucknow Brigade, 1st Indian Cavalry Division. On 26 November 1916, the 1st Indian Cavalry Division was redesignated as the 4th Cavalry Division. In October 1917, the 1st (King’s) Dragoon Guards left France at Marseilles for India where they served for the remainder of the war. A good source of information regarding the Regiment is its war diaries which I have discussed below. 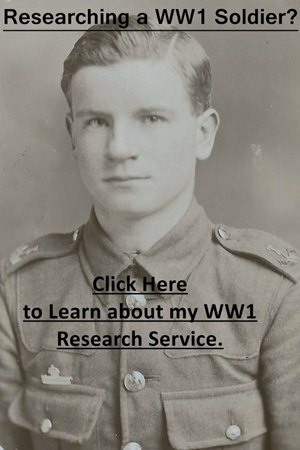 Start by looking at my generic guides to researching soldiers who served in British Army during the First World War. These pages will help you regardless of the regiment the soldier served in. My pages on finding service and medal records are the most important to start with. I also have a page on British Army abbreviations and acronyms which will help you decipher the military jargon. There are two war diaries for the 1st (King’s) Dragoon Guards which I would recommend downloading and I have discussed both below. If you’re looking for an officer or other rank who was serving in India in 1911, check the 1911 Delhi Durar Roll (free to download). Officers: The most important document to look for is a service record but not all have survived. If the document has survived it will either be at the National Archives (I offer a copying service for these records) or held by the Ministry of Defence if an officer served past April 1922: Ordering a Service Record from the MOD. The war diaries of the 1st (King’s) Dragoon Guards (see below) often record officers by name. If you are looking for promotion dates then my article on the London Gazette and Hart’s Army List (pre-war officers) will help. For photographs of an officer try The Sphere, Tatler and Illustrated London New. See my page on Researching Soldiers Using Newspapers. 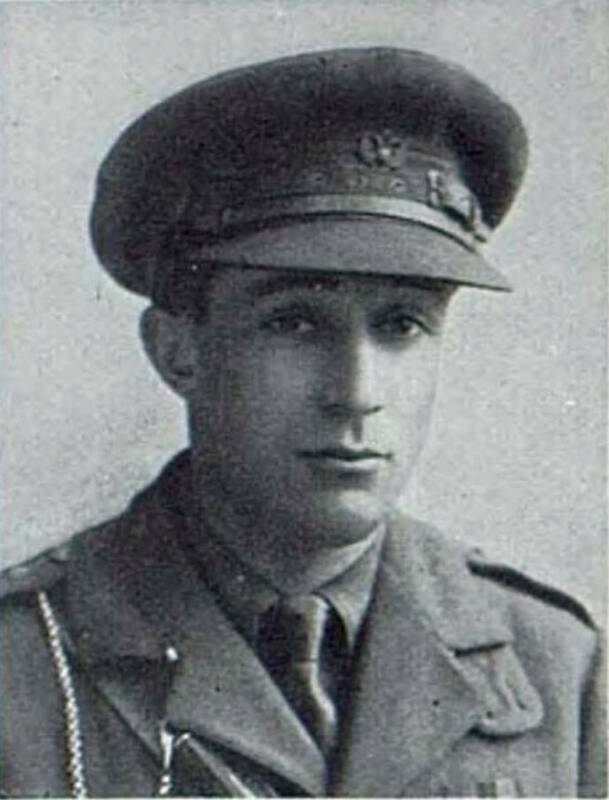 Portrait of Captain William Gerald Forrester Renton 1st (King’s) Dragoon Guards who was killed in action on 2 June 1915. This portrait was published in The Sphere which is a great newspaper to search for officer casualties. Other Ranks: Have a look to see if a service record has survived but be aware that many were lost during the Blitz. If a soldier served past January 1921, then his service record should still be held by the Ministry of Defence and you will have to apply for it: Ordering a Service Record from the MOD. Providing a soldier served outside of Great Britain and Ireland then there will be medal records to consult Ancestry. Some of the 1st (King’s) Dragoon Guards’ other rank casualties are recorded in the war diaries including a complete casualty roll for the Regiment between 31 May and 3 June 1915. The second war diary also contains casualties. To research either an officer or other rank who served in the 1st (King’s)Dragoon Guards you’ll need to join FindmyPast and Ancestry. Each site has different sets of records which you’ll need to check. Fortunately, both sites have free trials and clicking on the banner below will take you to FindmyPast. There are two war diaries for the 1st (King’s) Dragoon Guards and both have been digitized by the National Archives. To download the war diaries for a small fee click on the blue links below. I have transcribed some entries at the bottom of the page. Notes: A good war diary with many portions being types. There is a complete casualty list including the soldier’s squadron between 31 May to 3 June 1915 and also maps of Bellewaerde and Thiepval. Notes: An average war diary which is mostly typed. Casualties, killed, wounded etc. are recorded often with their regimental number. The Imperial War Museum holds the private papers of Thomas George Hatcher who was killed while serving with the Regiment on 2 June 1915: Documents.20771. Unfortunately, there was no regimental history produced for the 1st (King’s) Dragoon Guards during the First World War. A good book to provide context regarding the Regiment’s service on the Western Front during the war is David Kenyon’s Horsemen in No Man’s Land: British Cavalry and Trench Warfare 1914-1918. 19 May 1915: Burbure: The whole of the 1st Indian Cavalry Division returned to their original billeting area, to make room for the 7th Division which was being relieved from the trenches. The regiment marched at 1.45 pm to Rincq. During this move to Le Reveillon, A Echelon alone accompanied the regiment, spare pack sales being taken at the rate of 1 per troop and 2 for HQ and Max. Gun. Men were to be dismounted to provide horses to carry the packs, but in the event of an opportunity arising for the cavalry to break through, practically 4 days rations could be carried with the regiment thus: Iron ration and unconsumed portion of previous day’s reconnoitring patrol of the 3rd Dragoon Guards reported that there were no Germans in the Chateau building and these were occupied pending the arrival of the regiment. On the arrival of the regiment about 11 pm the 3rd Dragoon Guard posts were relieved and work was commenced by A, C & D Squadrons with borrowed tools, but was greatly delayed owing to the late arrival of the pioneers and regimental tools: B Squadron was employed in carrying up rations and R.E. Stores. A Echelon under Capt. Wells, brought up the rations each night to the “dumping ground” in Zouave Wood, where ration parties met it. The road was invariably shelled each night by the Germans. 1 June 1915: By daylight works A, B & C were partially dug and D & E commenced. Work A was occupied by D Squadron: work B by A Squadron: and work C by two troops of C Squadron: At 2.45 am B Squadron: and two troops C. were withdrawn to Zouave Wood and troops were ordered to complete the existing works as best they could by daylight. There was a shortage of sandbags and pickets. At 5 am the enemy commenced shelling the buildings in Hooge and our trenches with H.E. and ceased at 8.30 am. There was intermittent shelling during the day being especially heavy 2 pm and 4 pm. That night the existing works were improved, works D & E were completed and a splinter proof at F. The windows of the Chateau and stables were sandbagged and loopholed and the pioneers were wired a portion of the front towards the lake, under cover of covering parties of 15 men each to the N and E.
2 June 1915: At dawn the Chateau and annexe were each occupied by one troop C Squadron under Capt Cooper, and B Squadron relieved D Squadron in work A. D Squadron was then withdrawn to Zouave Wood. Very severe shelling commenced at 5 am with H.E. shrapnel and “Minewerfer” on the Chateau buildings and all trenches and continued until 12.40 pm. All the men were withdrawn into the annexe cellar from the Chateau, those in A to cellars in the fort, leaving small observation posts. At about 1 pm the Commanding Officer sent D Squadron up in support. During the lull the works and Chateau were reoccupied and dug out where blown in. At 2 pm severe shelling recommenced, works A. B. & C. were blown in in many places, the machine gun at C was buried and only two walls of the Chateau and stables remained standing. At 5 pm the bombardment ceased and the Germans attacked from the N and E.
2 June 1916: Hooge: Left Section: Two squadrons K.D.G’s occupied the fort and buildings of Hooge N. of the Menin Road. The Maxim obtained a good target on 30 or 40 Germans at 300 yards and afterwards succeeded in driving in various working parties near the lake. Snipers posted in the roofs of the fort buildings also had good targets. One Squadron was then put into work A to clear the damage done by shell fire and reoccupy the trench. Later they co-operated with a counter-attack from the right section, on the stables, which had been occupied by the Germans. Shortly after midnight these two squadrons and the machine gun section were relieved by one company of the Lincoln regiment and withdrew to Zouave Wood. Right Section: As soon as the shelling ceased the remains of works B and C were manned and the maxim unearthered and brought to G, but had been damaged by bombardment. The attack from the East was driven back and at dusk trench C was blocked, listening posts put out, and the remainder of the two troops holding it were withdrawn to work B. Meanwhile the Germans had, on cessation of the bombardment, advanced against the annexe under cover of the Chateau. Capt. Cooper who was wounded, and the three men who remained were survivors of the two troops and were bombed out, through the stable, on to work B. They were followed up by the Germans under cover of the darkness, who then occupied the stables. They were immediately counter-attacked by a part of A Squadron under Capt. Cheape and the stable reoccupied by post. A bombing party was applied for to counter-attack the Chateau, these did not arrive and A and C Squadrons were relieved by the Lincoln regiment, and withdrew to Zouave Wood, whence the regiment marched back via Ypres to huts at Vlamertinghe.